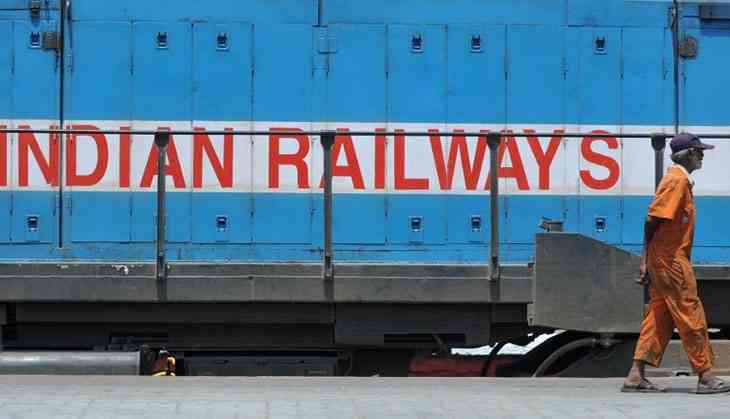 Media reports indicate that government has approved the formation of a Rail Development Authority – an independent regulator to recommend fare and freight rates and set performance benchmarks for the Indian Railways (IR). If one considers a critical infrastructure sector populated by multiple service providers from the private and/or the public sector, one can see the need for a state regulator to set broad policy directions, oversee performance, regulate pricing and generally look after public interest. The telecom sector, as it has evolved in India, comes immediately to mind in this context, but a state monopoly like IR does not. Let's reiterate the obvious, because it appears to have been forgotten: IR is owned and operated by the Government of India and regulated by a ministry headed by a minister of cabinet rank. The system is huge and complex and one more advisory body to 'recommend' pricing policy and set performance benchmarks appears redundant at best. And if the powers-that-be are visualising a Thatcherite transformation of IR, a very different sort of regulator will be called for and the proposed RDA would be grossly inadequate. The functioning of IR has been governed by a fundamental contradiction – the need to be a 'commercially viable' provider of transport services, and simultaneously bear the burden of 'social costs' in the form of subsidised 'below cost' passenger fares and financially unviable but politically 'required' investments in new lines and other infrastructure. Short-term political compulsions have always won the day, and the natural result has been a distorted fare and freight structure, gross undercapitalisation, inadequate capacity creation and a stressed system in danger of being marginalised in the economically most significant area of its functioning – the movement of freight over long distances, especially high value freight traffic. The problem has been and remains fundamentally one of policy being determined by populist politics, where short-term political gains outweigh the requirements of long-term development of a viable transport infrastructure. The spectre of global warming only adds to the pressing need for a strong high capacity rail network for long distance haulage of people and goods, and road for short distance movements. Furthermore, transport networks have to be geared to actual traffic requirements, not to the requirements of constituency building. The problem of the Railways being a milch cow for a short sighted and needy political establishment is not a new one, and therein lies the tragedy. Over decades, limited resources, wasteful use of a great deal of available resources, unviable passenger fares, distorted freight rates, inadequate financial support from governments and political establishments that expect 'expedient' pricing but are not prepared to pay for it, and the resulting resource crunch have become a vicious circle that has crippled railway finances. Spreading resources thin – also politically motivated – aggravates the impact of resource scarcity and negatively affects returns on investment, where these are otherwise positive. Market borrowings are no solution either, as loans are at market rates but rail pricing is not, and no amount of rational advice from a regulator – assuming such advice is at all forthcoming – can overcome the ultimately political determination of pricing and investment decisions. A quick look at IR revenues is revealing – approximately 92% of revenue comes from freight (65.6%) and passenger (26.1%) traffic, but public pronouncements dismiss the declining trend in incremental freight loading, and talk about new sources of revenue like monetising land resources. Exploiting railway land has been on the agenda for years, but there has been little to show for it, despite all the brave words. When we remember that railway revenues are in the neighborhood of Rs 1.6 lakh crore (INR 1,57,071 crore in 2014-15), any new source of revenue will have to show very large numbers to make a serious contribution to IR finances. And that hasn't happened yet. The railways have to focus on their basics – everything else can, at best, be the cherry on the cake. One response to harsh realities is to hide one's head in the sand and descend into dreamland, but that doesn't help when the lion is coming at you. The railways have to get back in the high value freight game and charge halfway rational prices for passenger services, and stop wasting whatever resources they have if they are to survive. The problems facing IR are critical, and an 'advisory' regulator, while certainly creating additional posts and perhaps providing more high level post-retirement employment opportunities for superannuating bureaucrats, will do little to help the railways dig themselves out of the black hole they are descending into. For a dispensation that promised 'minimum government and maximum governance', the proposal for a new regulator for IR is a retrograde step – more government and more confusion in governance.